Mr. Padula represents management in all aspects of labor and employment law. In this capacity, Mr. Padula advises clients on day-to-day employment and labor issues including the Family and Medical Leave Act, the New Jersey Family Leave Act, the Fair Labor Standards Act, Title VII, the Americans with Disabilities Act, the New Jersey Law Against Discrimination, sexual harassment, wrongful discharge, wage and hour, restrictive covenants, unfair practice charges before the National Labor Relations Board and the Public Employment Relations Commissions, Mr. Padula has litigated matters involving discrimination and wrongful discharge claims, whistleblower claims, and claims under the Fair Labor Standards Act and Family and Medical Leave Act. In addition, Mr. Padula has negotiated collective bargaining agreements and regularly provides advice to clients on collective bargaining matters. 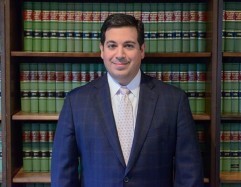 Mr. Padula’s experience also encompasses public law and education law, where he provides general and labor representation to school boards, charter schools and other public entities in connection with collective bargaining negotiations, grievance arbitrations, seniority issues, hiring, compensation and disciplinary issues. Mr. Padula also advises clients on campaign finance laws and the various State and local pay-to-play restrictions and has appeared in state and federal courts on numerous election law matters. Additionally, he has spoken extensively on the Family and Medical Leave Act and New Jersey Family Leave Act. Mr. Padula previously served as judicial law clerk to the Honorable Bernard F. Conway, J.S.C., of the Superior Court of New Jersey. He is currently a member of the Hoboken-North Hudson YMCA Board of Directors. Mr. Padula is a frequent author and adjunct lecturer at St. Peter’s University. He is also a regular speaker at the New Jersey State Bar Association and New Jersey School Boards.